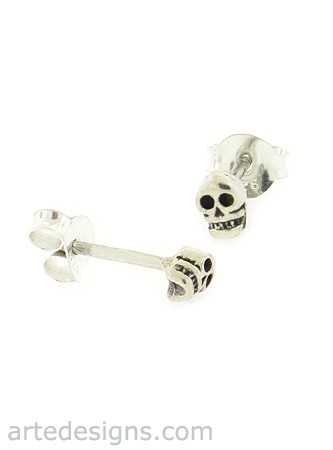 How fun are these tiny little skulls? From afar, they just look like silver posts...but get a little closer and you'll see the cute teeny tiny skull. Only 4mm (some might need a magnifying glass to see), but if you can see the details, the skull is full of character and attitude! Entire earring and post are sterling silver.